Test the hypothesis that the zodaic signs are evenly distributed accross the musicians. Rejection criteria is when p-value is low. 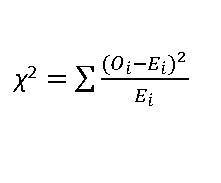 The expected value corresponds to the mean of the samples and has been calculated as 21.33. 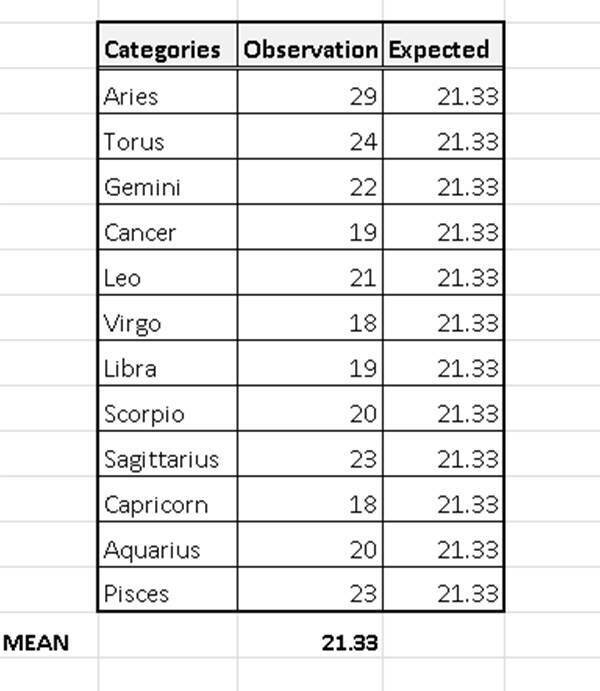 This is given by the formular Observed Value – Expected Value (O – E) for each of the observations. This is the square of the value calculated in Step 4. The values are shown in Table 3. You can easily find this value by taking the sum of the last column. 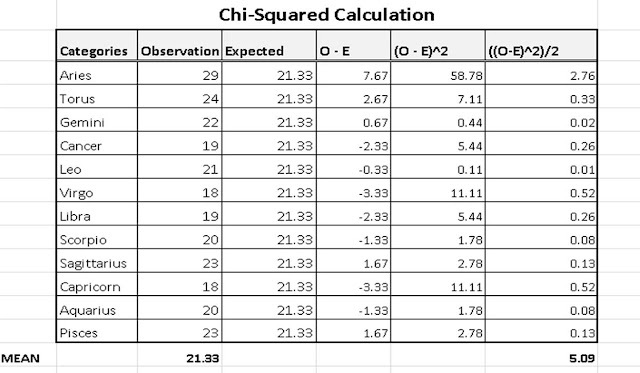 From the chi-square table we get a p-value of between 0.900 and 0.950. 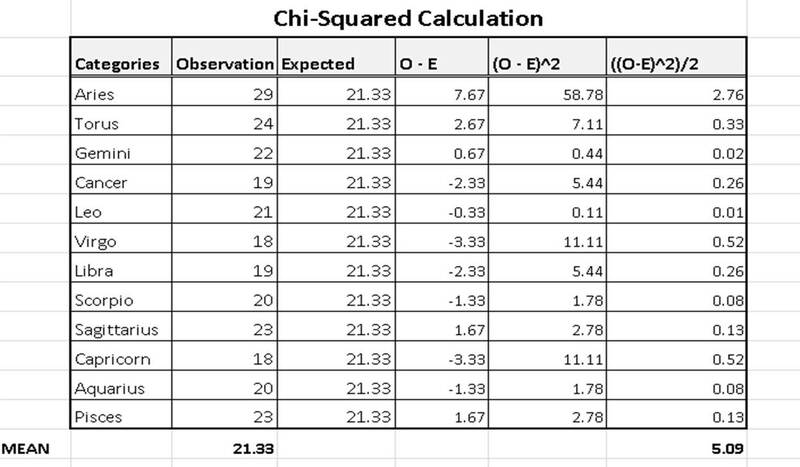 In chi-square, the null-hypotheis is accepted if the p-value is very large, say 90% to 100% and we reject the null hypothesis for small values of p-value. In this case, the p-value is between 90% and 95%. Therefore, we accept the null hypothesis.